28 Apr – Depart to Kathmandu. Arrival Tribhuvan International Airport at Kathmandu. Meet and Welcome by our Airport representative, assists and transfer to Hotel. Check in Hotel and Relax till evening. Evening: Welcome Dinner with Cultural show (Hosted by Euro Asia Tours & Travels). O/N at Hotel in Kathmandu. ( Morning : Optional Mountain flight in the morning ). Everest Experience is a close-encounter mountain flight-seeing tour. Indulge in the panorama and maybe, just maybe, you might realize what you have been missing, or find what you have been looking for, all this while. After all a trip to Nepal would be incomplete without truly understanding what really makes it beautiful. Nothing compares to the sheer beauty or awe, the Himalayas has to offer. Take the mother of all mountain flights, the Everest Experience where we put you, one on one with Mt. Everest, so close that you can almost touch it. Pashupatinath, one of the holiest temple of Hindu deities Lord Shiva, has a golden roof and silver doors and is built in pagoda style. The temple is in the mid of green forest and the river Bagmati on whose bank Hindus are cremated is flowing on its side. People except Hindu are not allowed to enter the main courtyard of the temple but can be viewed from the eastern bank of the river. It is the centre of the Hindu pilgrimage. Drive from Bhaktapur to Pokhara ( 216 KM – 6 hours drive). O/N at Hotel/Resort in Pokhara. Pokhara, situated 200 km west of Kathmandu, is the most important tourist destination after Kathmandu. This is the entry point for famous Trekking routes to Dhaulagiri, Annapurna and Mustang region. When the weather permits one can enjoy the panoramic view of Annapurna and Dhaulagiri range hardly 25km away from Pokhara. One can enjoy the tranquility and peace while doing boating at Fewa Lake in one hand and see the grand view of the snow clad mountains on the other. 02 May – Sightseeing of Pokhara City & Hotel inspection Visit. O/N at Hotel/Resort in Pokhara. Sightseeing of Pokhara City & Hotel inspection Visit. O/N at Hotel/Resort in Pokhara. Devi’s Falls marks the point where the Pardi Khola stream vanishes underground. When the stream is at full bore, the sound of the water plunging over the falls is deafening, but the concrete walkways don’t add much to the atmosphere. According to locals, the name is a corruption of David’s Falls, a reference to a Swiss visitor who tumbled into the sinkhole and drowned, taking his girlfriend with him! The roaring Seti River passes right through Pokhara, but you won’t see it unless you go looking. The river has carved a deep, narrow gorge through the middle of town, turning the water milky white in the process. At points, the gorge is less than a metre across and the river gushes by more than 50m below street level. The beautiful white pagoda style temple of Bindabasini is surrounded by a park-like setting. Also the majestic view of the snow clad mountains and the fresh scent of the incent sticks in the temple gives peaceful and relaxing atmosphere. This is one of the most important holy places for the Hindus in Nepal. After Sightseeing, Visit to some Hotels for Inspection for reference for future group plan. In 1973, Chitwan National Park was established covering 932 sq km area is now listed in the World Heritage site by UNESCO. The Park consists of a diversity of ecosystems-including the Churia hills, Ox-bow lakes, and the flood plains of the Rapti, Reu and Narayani Rivers. 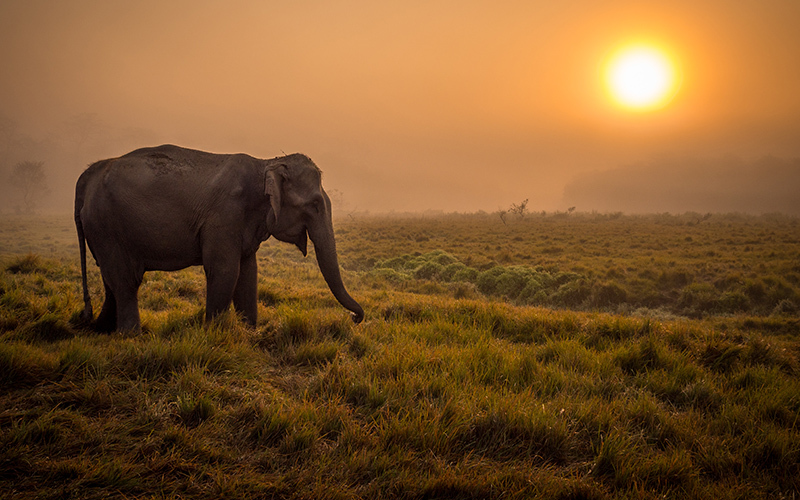 Chitwan National park is natural home for endangered Royal Bengal Tiger, One Horned rhinoceros and many other Flora and faunas. 04 May – Full day Jungle Activities in Chitwan. O/N Hotel/Resort in Chitwan. Full day Jungle Activities in Chitwan. O/N Hotel/Resort in Chitwan. We will do full day Jungle Activities program which includes, Elephant Safari, Jungle Walk, Cultural dance show etc.. as scheduled by Hotel/Resort. 05 May – Drive from Chitwan to Kathmandu (185 Km- 5 hours drive). Check in Hotel and after short rest we will visit some hotels in Kathmandu for our future reference. Drive from Chitwan to Kathmandu (185 Km- 5 hours drive). Check in Hotel and after short rest we will visit some hotels in Kathmandu for our future reference. Evening: Enjoy Lavish Farewell Dinner in Kathmandu. O/N at Hotel in Kathmandu. 06 May – Departure to Airport to connect onward Flight. Departure to Airport to connect onward Flight.